I'm so happy to be sharing the final look on my Dillard project. This was a really BIG project and that meant THOUSANDS of details. No exaggeration! We touched each and every room in the house with the exception of the kitchen, but that renovation is coming soon enough. We are still doing a few more things, but overall I can say we were done enough to have professional photos taken. To me, the biggest transformation happened in the living room. 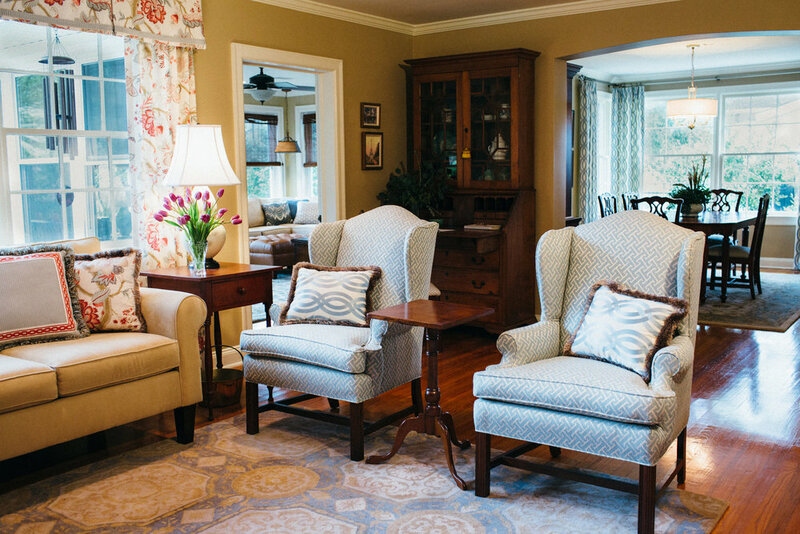 We kept a lot of the client's furniture, but by adding colorful fabrics, a larger rug and the right accessories everything looked new. My client had recently inherited many beautiful items and including them in the space was very important to her. Each bedroom served a different purpose. The front bedroom is my client's office. She wanted it to be "French and feminine" and we definitely achieved that. Again, by incorporating some of her special pieces and adding new, we created a very personalized retreat. 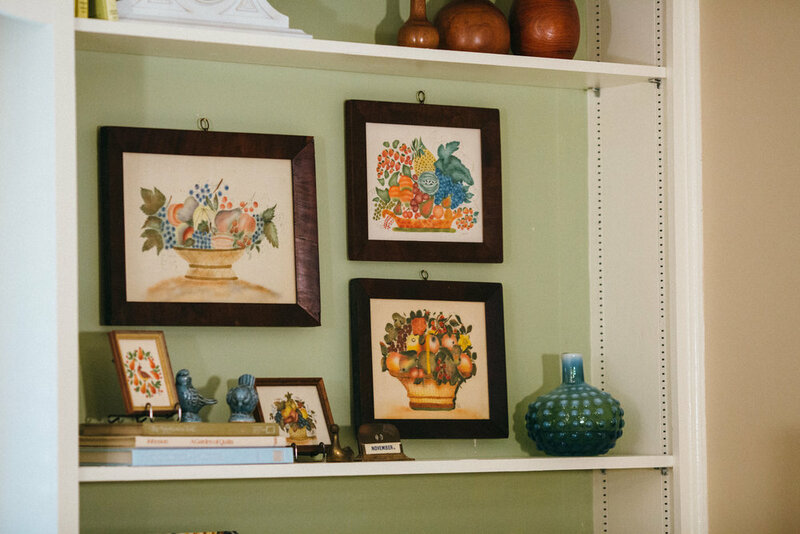 I love the framed tapestries from her trip to Paris! The corner bedroom is for her special guests. The existing built-ins got a fun makeover and house all kinds of treasures. Finally, the master bedroom's highlight was the bed we created. Each fabric was carefully selected and the attention to detail shows. Unfortunately, my photographers were devastated to tell me that the photos of two rooms were corrupted and couldn't be retrieved. So, we'll be back soon to get those taken again. If you want to see more of Dillard, check out my photo album on Houzz. Also, if you type "Dillard" in the search bar over to the right, you can see my progress posts I've done this past year. Have fun!